Moleskine used 750 photos and 7,600 pieces of paper to create the paper version of Game of Thrones opening. That's smart advertising. They have also included a making-of video. After going through several huge travelogue sketchbooks, I've decided to bring a horizontal A4 sketchbook for the Barcelona trip. Interesting. There aren't a lot of manufacturers who make horizontal A4 watercolour sketchbooks. 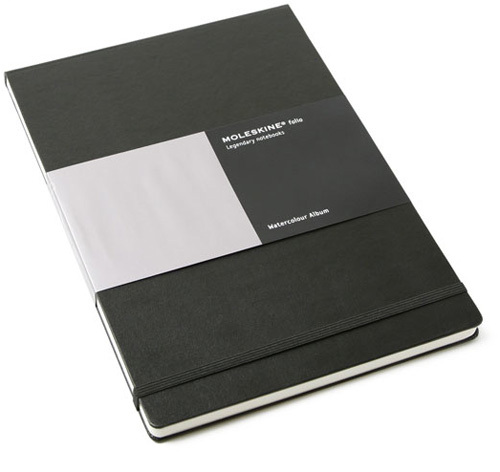 The only one I can think of is Moleskine with their A4 Watercolour Album. I was actually thinking about Stillman & Birn but their largest horizontal is 9 by 6 inches for the Alpha and Gamma sketchbooks. So this has 60 pages. I just have to fill 5 big pages each day for my 12-day trip.